Marvel's "Avengers: Infinity War" marks the payoff to a decade's worth of work by the studio. For the Walt Disney (DIS) Co., it's part of a master plan that wrings value from entertainment content -- and the studio's diversified portfolio of brands -- across an assortment of areas, spilling off the screen. Disney is on its way to a huge year at the box office, with "Black Panther" already a mega-hit, "Avengers" threatening to break records and the latest "Star Wars" movie, "Solo," due in May. And that doesn't even count its "The Incredibles" and "Ant-Man" sequels, and an eagerly awaited revival of "Mary Poppins" culled from Disney's own vaults. The studio's control of content has also been cited as the foundation for its distribution plans, including a streaming service that will circumvent the Netflix pipeline. Not surprisingly, the big Disney umbrellas -- "Star Wars," Pixar, Marvel, and its animated hits -- will be brought to bear in establishing the new platform. For Disney, though, the exploitation of content goes well beyond just watching it, from its merchandising to its theme parks, including the latter's recently announced plans to introduce new Marvel attractions. Even Netflix (NFLX), with its huge influence over content, can't rival the multifaceted menu of ways that Disney cashes in, as anybody who has attended a kid's birthday party in the last six months could likely testify. Disney CEO Bob Iger orchestrated those deals, which might look like no-brainers with the benefit of hindsight. Yet it's worth noting that each was questioned at the time, beginning with a 2006 Wall Street Journal analysis headlined, "Investors, Beware: Disney Is Paying Too Much for Pixar." 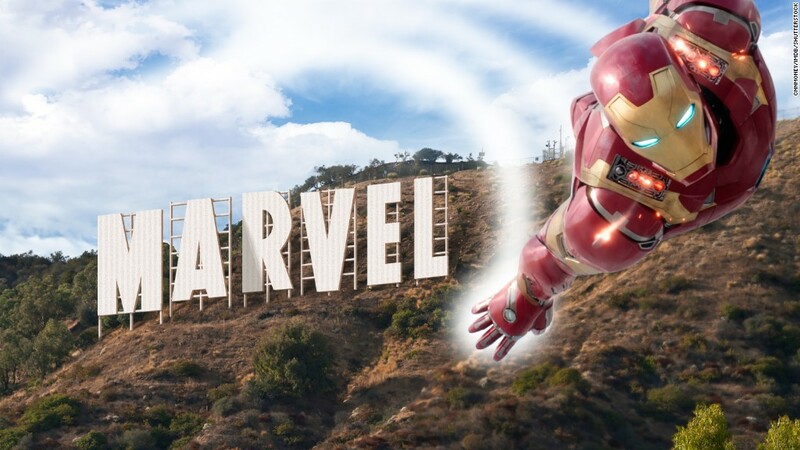 There was more muted second-guessing in 2009, when Iger brought Marvel into the fold; and three years later, when George Lucas handed over the reins to his empire. At the time, some cautioned that "Star Wars" represented "an aging franchise with an aging fan base." Three years later, on the eve of "Star Wars: The Force Awakens'" record-breaking debut, Wired called the acquisition "the deal of the century." Other companies, most notably Comcast (CCZ), with its theme parks and marriage of cable networks and distribution, have also aggressively pursued this formula. Small wonder the cable giant wound up vying with Disney for 21th Century Fox's entertainment assets when Rupert Murdoch decided to go on a significant media-ownership diet. Warner Bros., meanwhile, has been trying to catch up with Marvel's heroic movie slate via DC Entertainment, with mixed results. The deals that Iger brokered have placed Disney in what appears to be an enviable position, even with the uncertainties associated with its distribution holdings and assets like ESPN, a recent drag on the company's stock. Adding much of Fox to Disney's arsenal will only increase those synergistic possibilities, among other things reuniting Marvel with two titles that were parceled off in the face of past financial difficulties, the well-established X-Men universe and the less successfully adapted Fantastic Four. Fitting those pieces together is merely a small part of the pending merger, and even by Marvel standards, "Infinity War" is a not-easily-replicated event. But its release underscores that when it comes to mining the fan quadrant of the pop-culture universe, Disney -- while traditionally a leader in that area -- has effectively super-sized the strategy.